Stewards decided to exclude Timo Scheider’s result of the DTM race two at Spielberg due to the collision with Mercedes-Benz driver Robert Wickens. According to the stewards, the Audi driver caused the accident on purpose as per the analysis of the telemetry data and the available video footage of the accident. The Audi Team Phoenix has renounced an appeal on this decision. In a second decision, the stewards on the site forwarded the incidents related to a possible unsporting instruction via radio by Audi Sport Team Phoenix and/or Audi Sport to the appeal court of the DMSB. Until a decision is made by the sporting tribunal, the results of the race two at Spielberg remain provisional. 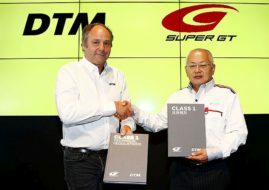 In the menatime, the Audi boss Wolfgang Ullrich apologized for his instruction.